I have been fishing for 50 years and caught my first musky on a Northern Wisconsin lake in 1976. I have been chasing the elusive King of Freshwater ever since. Since 2009 I have fished exclusively in the Mercer, Wisconsin area and focus primarily on the Turtle Flambeau Flowage and several small bodies of water in the area. 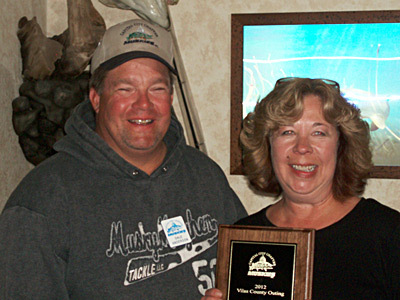 Mercer is a resource rich environment for its fishery and many other outdoor activities 12 months out of the year. Why Hire Dale As Your Guide? I have 2 high quality boats rigged with the latest electronics that are designed for the type of fishing we will do. As an Ambassador for the Pure Fishing Company, I travel to all the sports shows in Wisconsin and Northern Illinios educating fisherman about our product lines. Some of the companies Pure Fishing owns you may have heard of, Abu Garcia, Fenwick, Berkley, Stren and Spiderwire to name a few. 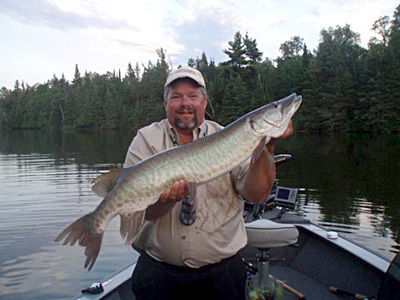 As my interest in the king of fresh water increased I joined the Capital City Muskies Inc. Chapter in 2003 and for 4 years sat on the board of directors as the Vice President of our 300+ membership. One of my responsibilities was to hire musky guides from around the Midwest to speak at our monthly general membership meetings. I am very in tune to what’s going on in the musky world and the trends that put fish in the net. 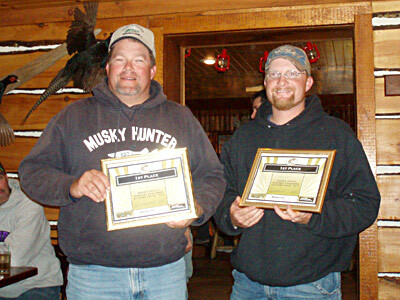 Organizer of the Larry Kleeba Chapter tournament held on the Turtle Flambeau Flowage 2012, this is an event where the 8 Wisconsin Muskie Inc. chapters compete against each other in a 2 day outing. In 2013 I had 22 fish in the net in a 7 day period.